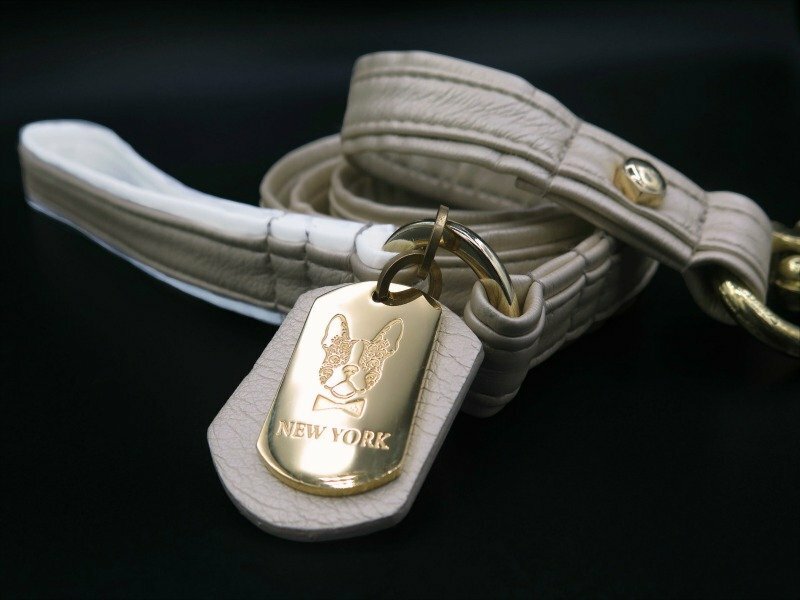 The gold and bling doesn’t end with the collar of your dog. 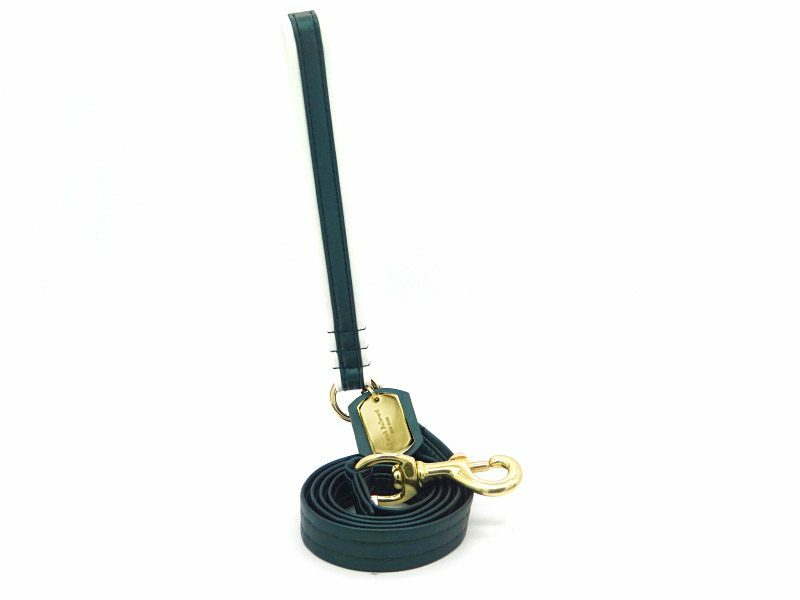 It can also continue up to the leash when you pair it up with this Sandy gold leather leash. The same materials from the collar are used to create this leash and make a beautiful pair meant for each other. The white striping on the collar even matches the white stripping that you find in the ever so comfortable handle. 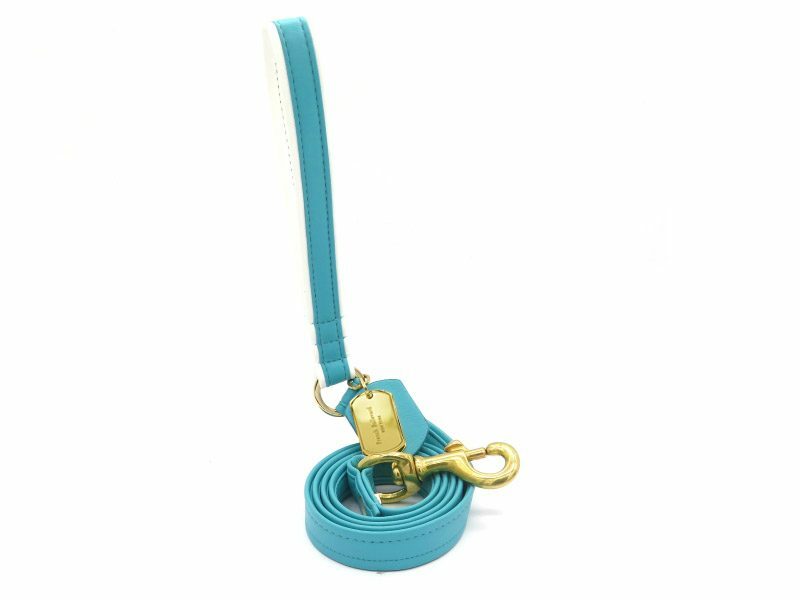 If you just can’t get enough of the gold sparkle, you will be immensely pleased by the solid sandy gold vegan leather used for the lengthier part of the leash. 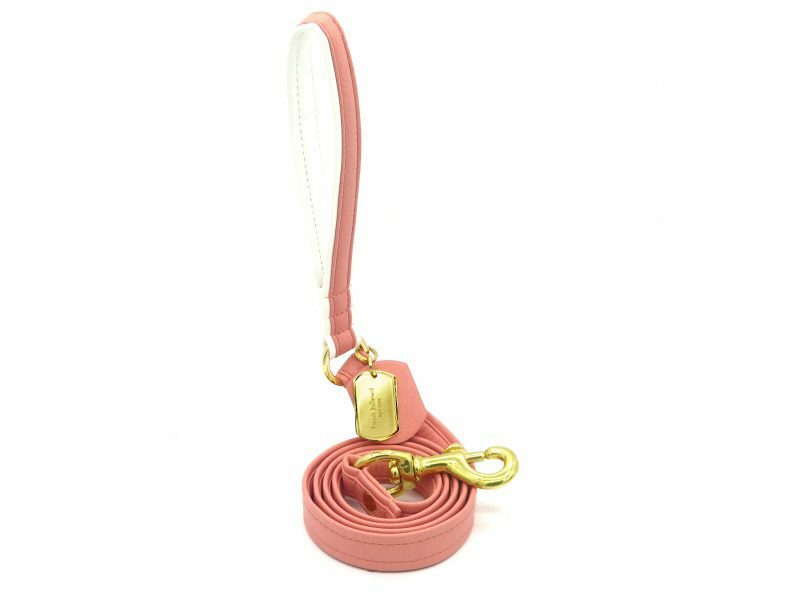 The meticulously inspected brass pieces connects the parts of the leash and the leash to the collar while adding even more sparkle to sporty chic look.